I have the most thin, fine hair out there. I would even go on to say my hair might be finer than “baby-fine” hair. The double-whammy. 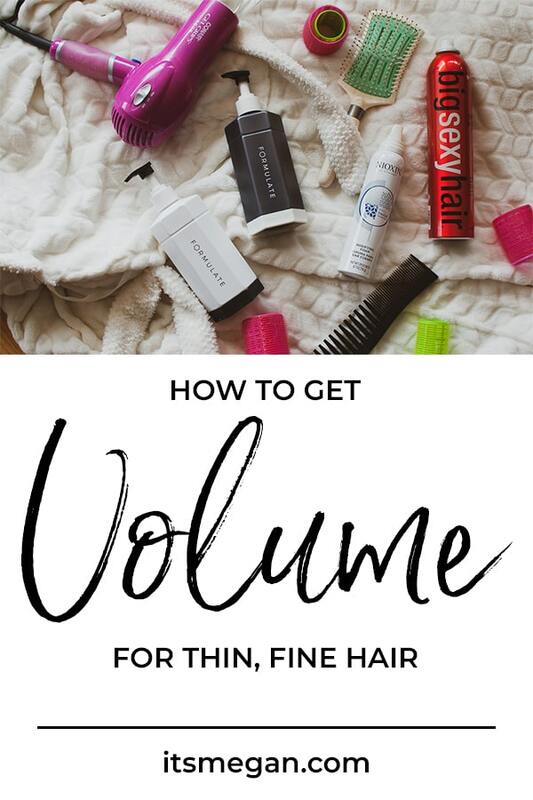 Can’t a girl get some volume?? One of the hardest things for me to obtain is volume. If I use too much product, I look like I’m going out for a beauty pageant, or a Dolly Parton lookalike contest. If I don’t use any product, my hair is super flat. 1. The right shampoo and conditioner. Next, they will take the information you provide and make a shampoo and conditioner specifically for you! 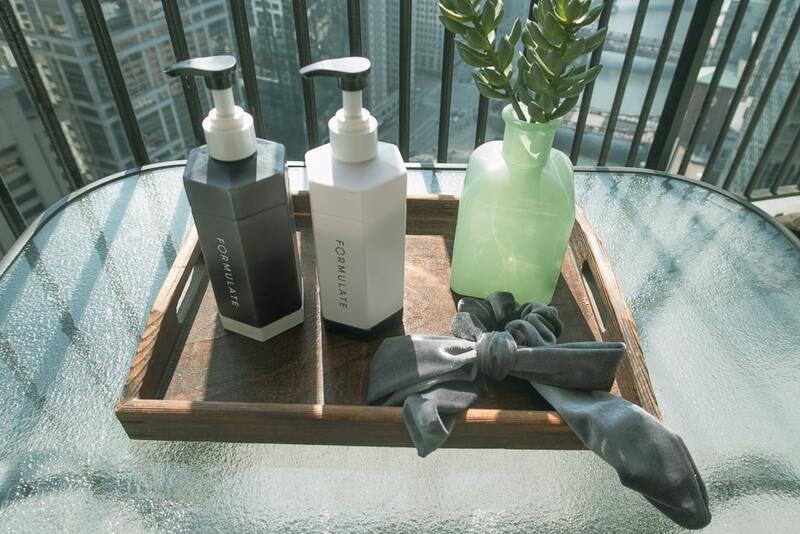 When you receive your shampoo and conditioner, try it out for a few days. The products will be sulfate and paraben free. If you have been using products with either of these ingredients, your hair may take a few days to adjust to the new formula. 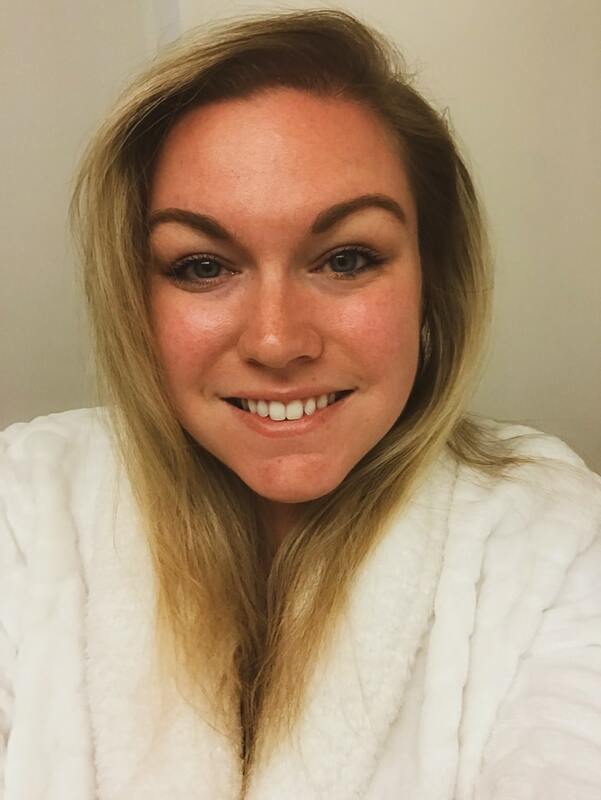 For me, my product was making my hair a little greasy after about a week. BUT GUESS WHAT? They asked me a few additional questions, then sent me all new product. FOR FREE. They want to make sure you are happy, and your hair looks great! The second formula was perfect. 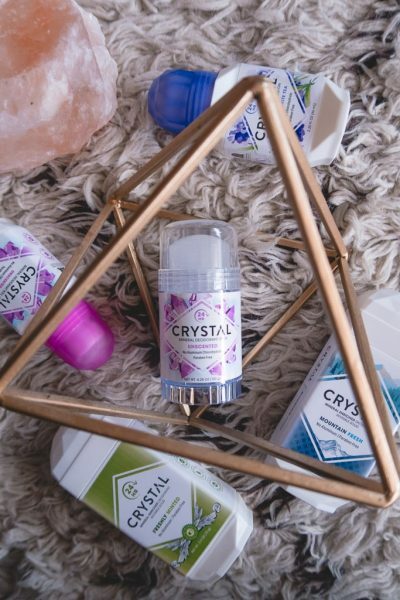 It smells great, it lathers really well, the packaging is super cute, the staff was really helpful and great to work with, and the product is amazing! I mean, I have never had a shampoo like this before. 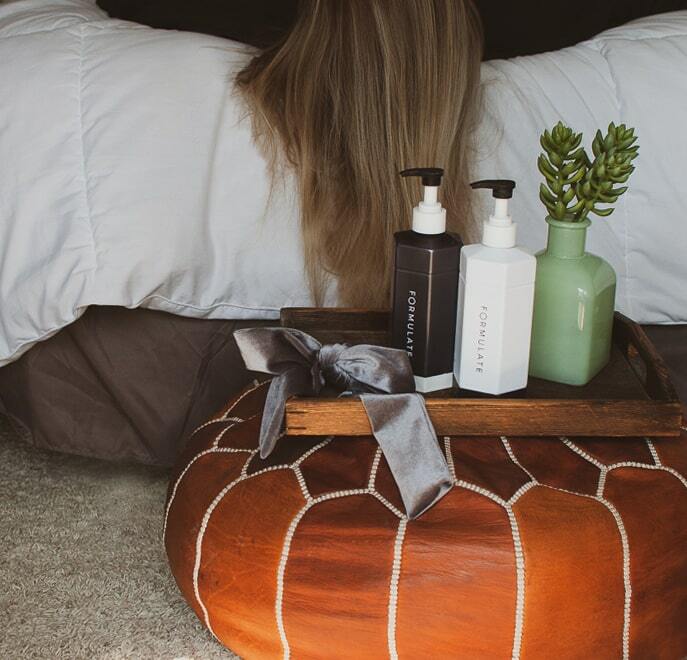 The consistency is thinner than any other shampoo I’ve tried – and it works for me. 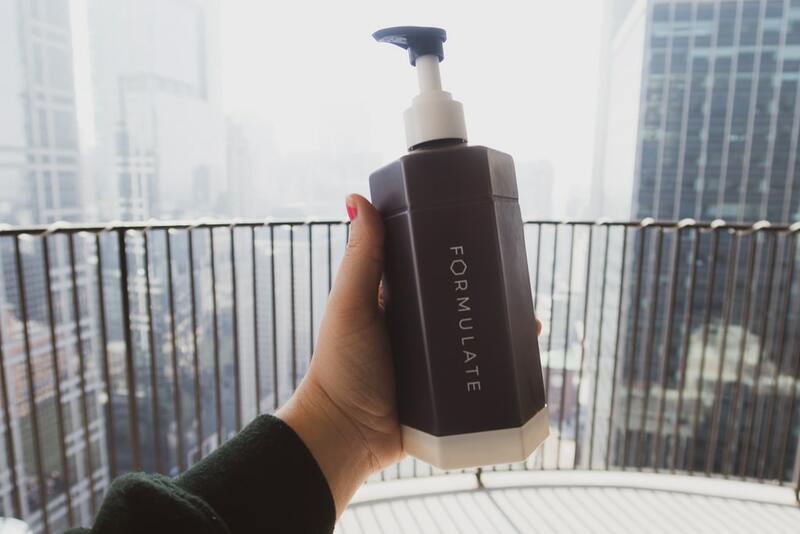 I am seriously so satisfied with Formulate! And now guess what? 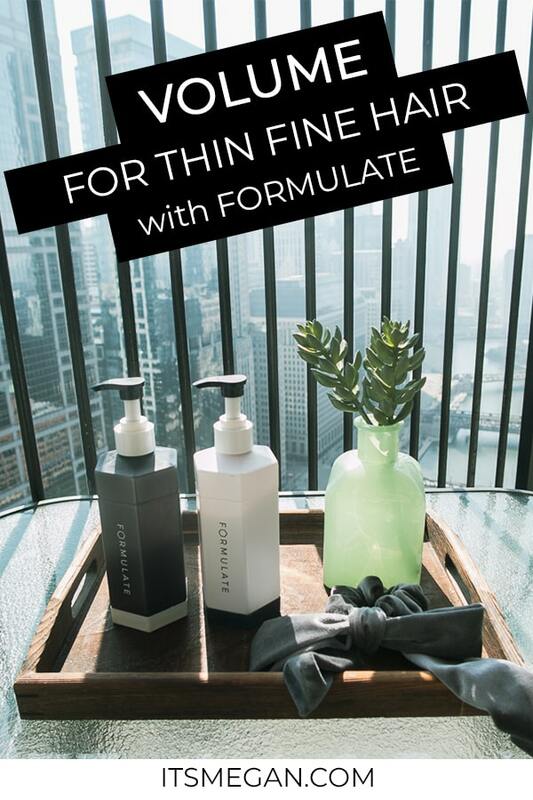 We are teaming up to bring you your own Formulate! 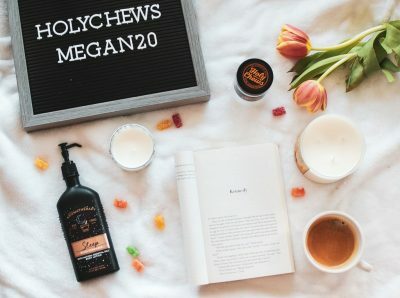 Enter the giveaway here, or see more details at the end of the post! For my hair in particular, I’ve noticed that having a foam works best (compared to a gel or spray). I use the Nioxin thickening foam. 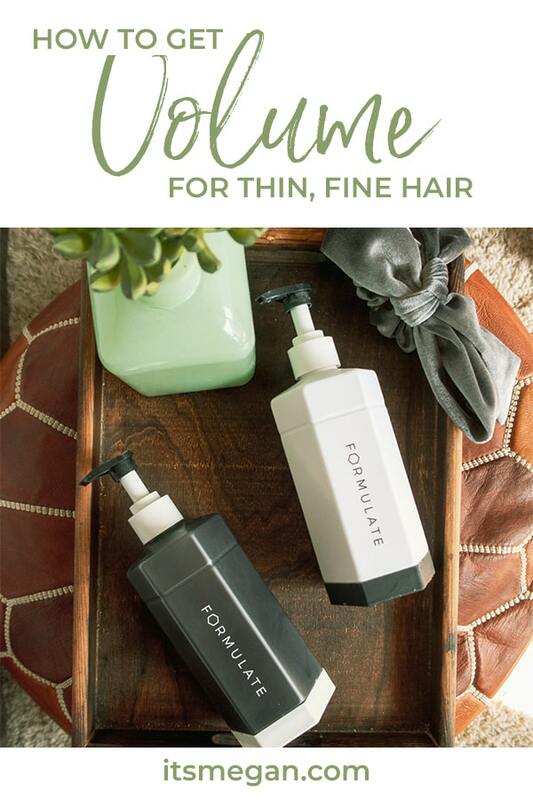 It helps my hair feel fuller, and gives it volume without weighing it down. Apply this to wet hair. 3. A round brush and a hairdryer. 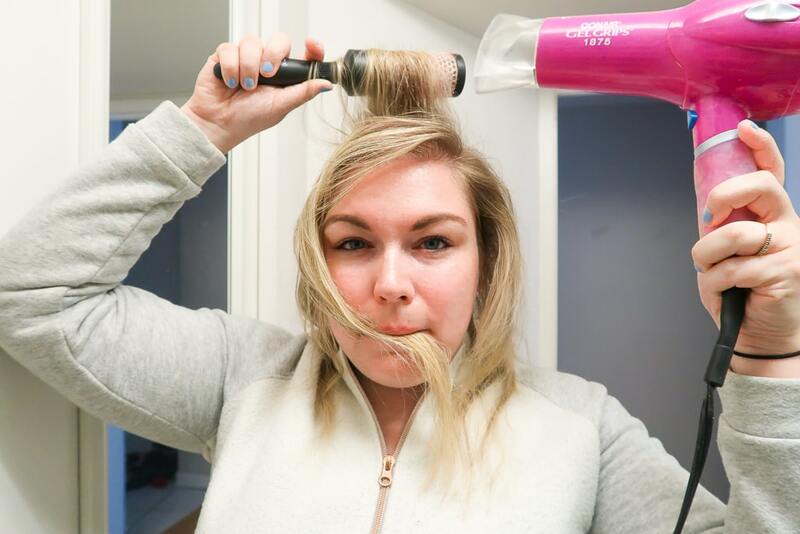 Next, you’ll want to round brush your hair while drying it. How you do this is section off your hair. I usually split my hair into top half and bottom half. Then take 1″ sections, and starting at the base, place the brush underneath your section of hair. Aiming the hairdryer directly onto the brush from above, move the brush and dryer towards the ends of your hair. When you are close to the end, roll the brush away from your head, wrapping the hair around the brush as you get closer to your head. Blow dry the brush until the hair is dry. Then unroll the brush halfway, and use your hairdryer-hand to firmly hold the hair most recently released from the brush. With your brush hand, unwrap the brush, and release the section of hair. 4. Flip your hair upside down. Another way that you can get volume for thin, fine hair is with rollers. I like using xL velcro rollers. First, you will do a similar round brush dry as in step 3, but this time don’t fully dry the sections of hair. You want your hair to be really hot, but not all the way dry. After you maneuver the brush out of the section of hair, immediately bring the velcro roller under the ends of your hair. 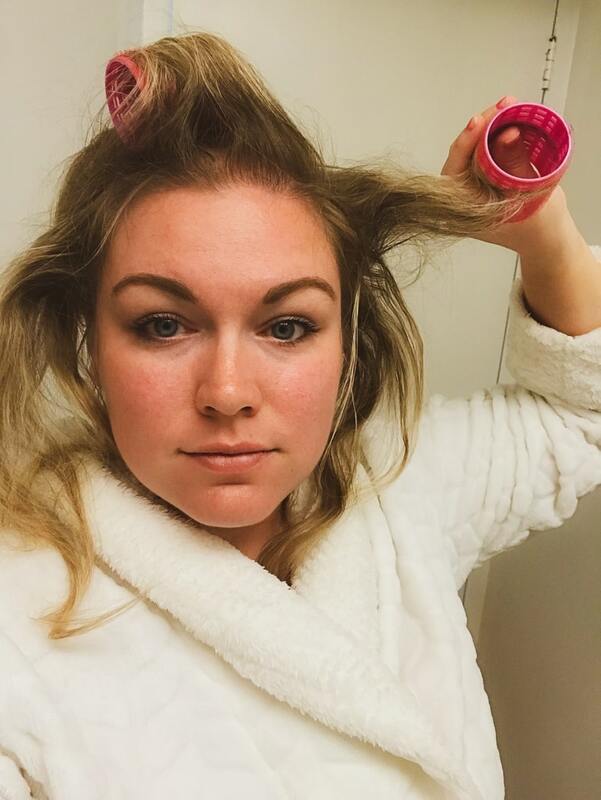 Holding your hair straight up, roll the velcro roller down toward your scalp. The rollers should stay in place on their own, but if they don’t, pin them. 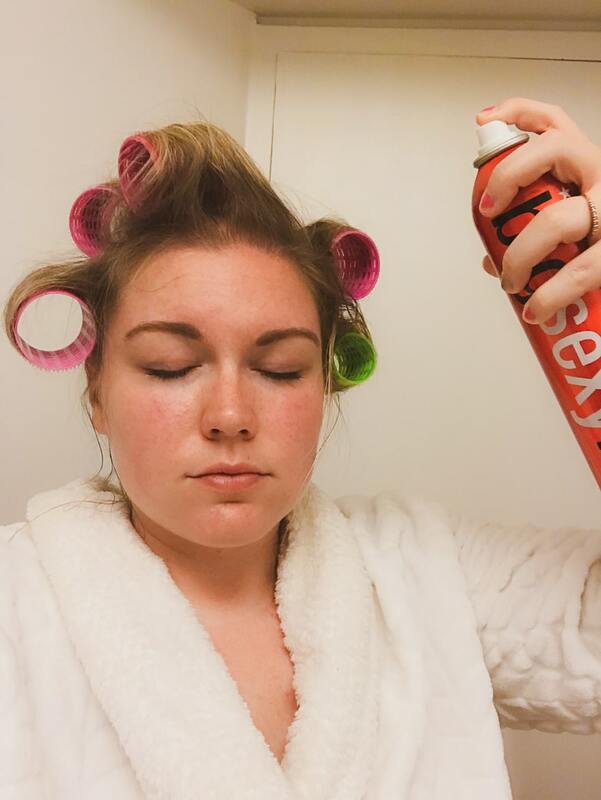 Once your entire head is covered in velcro rollers, put your hairdryer on low and heat each roller so that it’s hot to the touch. I like to spray a little bit of hairspray at this point (but that’s up to you). After 30 minutes, carefully unroll each roller – taking them out the same way we took out the round brush. Hold the section of hair towards the middle, and unwrap the ends of your hair from the roller. (You should make a circle motion with your hand/wrist away from your head). Run your fingers through your hair, and voila! 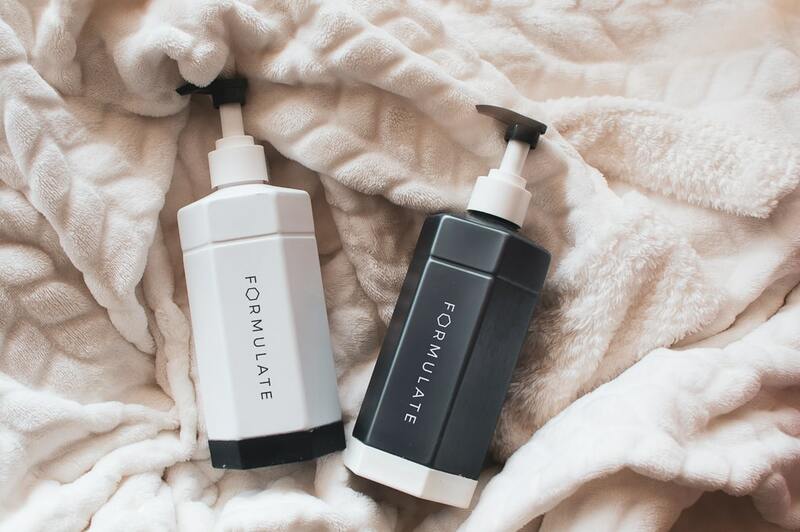 Win your own set of Formulate Shampoo & Conditioner! All you have to do is fill out the form below, and you’ll be automatically entered! No purchase necessary. Open to US residents only. Want more beauty tips? 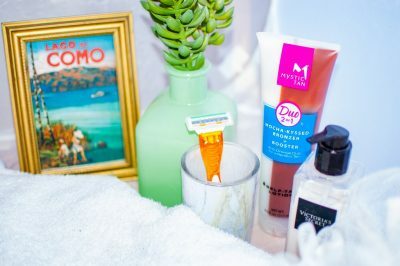 Check out this post to get that perfect sunless tan!